1. 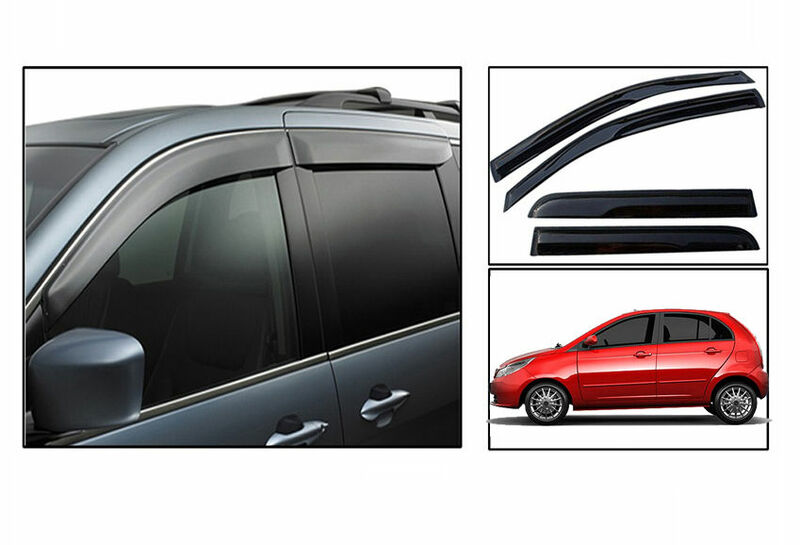 With this visor/panel mounting on your car window, no matter in rainy days or sunny days, you can open the car window to breath fresh air without worrying the rain or sun going into the car. 2. Perfect compact and streamlined design, reducing the noise generated by wind shear is fully taking into account. 1. Double-sided adhesive is on the mounting surface, easy to stick them on your car window frame! 1. Under any environmental conditions, it can keep fresh air convection, improve air circulation inside the car, and protect the car suitable for human needs! 2. Because it can keep air convection, so it can stop the fog’s generating on the window glass. 3. To shade the strong sun light and UV, low the temperature in the car, stop the rain, snow and sands to come into the car. 4. Good shape design, perfectly match your car, make your car more beautiful and comfortable.